A bequest is one of the easiest ways to make a gift to Benedictine. 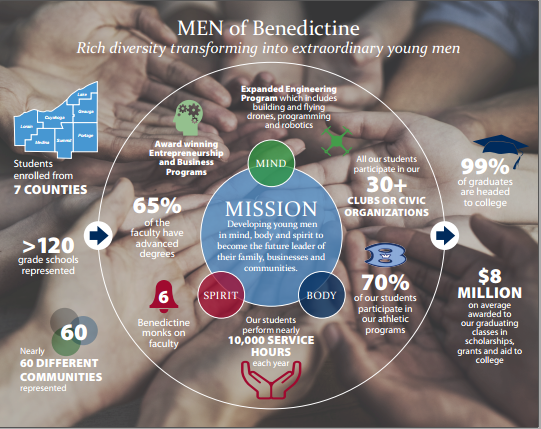 By naming Benedictine in your will, you are contributing to the future generations of young men that will benefit from your vision and generosity. Charitable gift annuities provide a fixed income source for life that may be higher than through traditional investments, offer significant tax advantages, avoid capital gains tax and reduce or eliminate estate taxes, while providing the added benefit of continuing the mission of excellence at Benedictine.